I think every parent goes through a stage where they wish they could grow a second pair of arms. 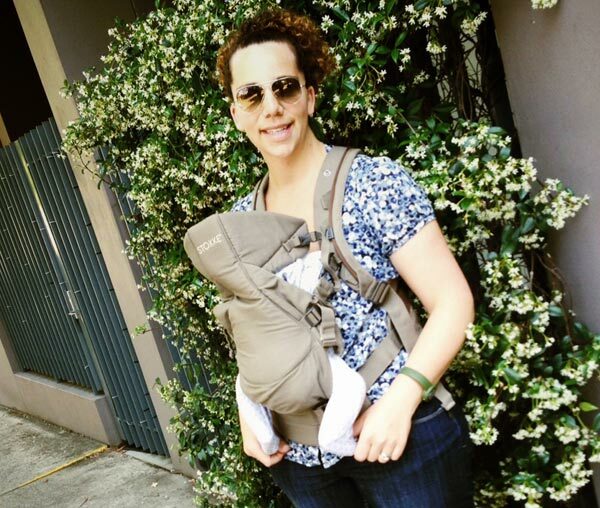 There’s no need to go to those extremes – you just need a good baby carrier. The Stokke MyCarrier is just like having that second pair of arms, but without the freakshow value. Sure, people might stare when they see you toting your baby around town in one, but only because they’re impressed by how effortlessly the Stokke MyCarrier cradles your baby… and how good it looks while doing so. I use one for my infant daughter (above) and it has quickly become one of my must-have pieces of baby equipment. My Audrey, like most babies, prefers to be held. As much as I adore holding her in my arms, it’s not always practical or possible to have my arms full of baby. That’s where the Stokke MyCarrier comes into its own. It allows me to keep her close – which suits both of us – while freeing my hands for the million-and-one other things I need to do. I use it at school drop-off and pick-up times (there’s a handy pocket for the car keys or phone) so that I can hold her to my chest – where she prefers to be – while keeping a hand free for each of my other daughters. Same goes for the playground, the supermarket and any number of places where my day as a parent takes me. I’ve even been known to wear it around the house. 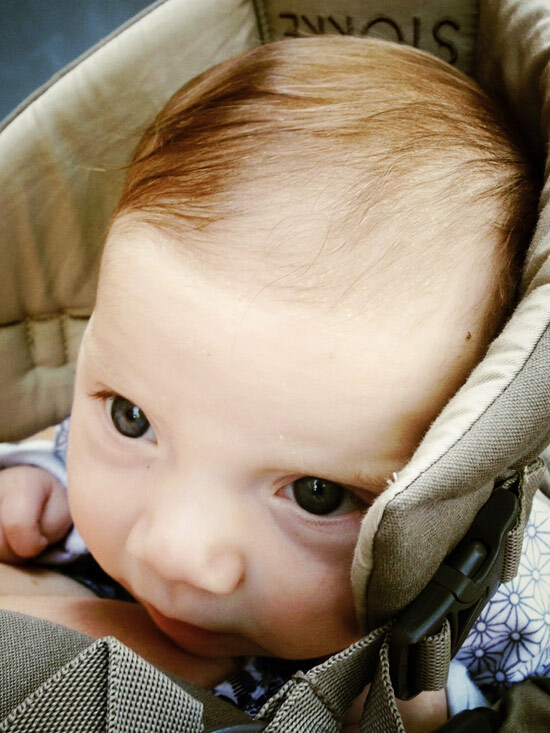 Now, Stokke tells us this organic cotton carrier is incredibly comfortable and I know it must be true. Not only because I find it doesn’t pull on my back but because my baby will happily nap while cocooned in her carrier against my chest for an hour, sometimes two! 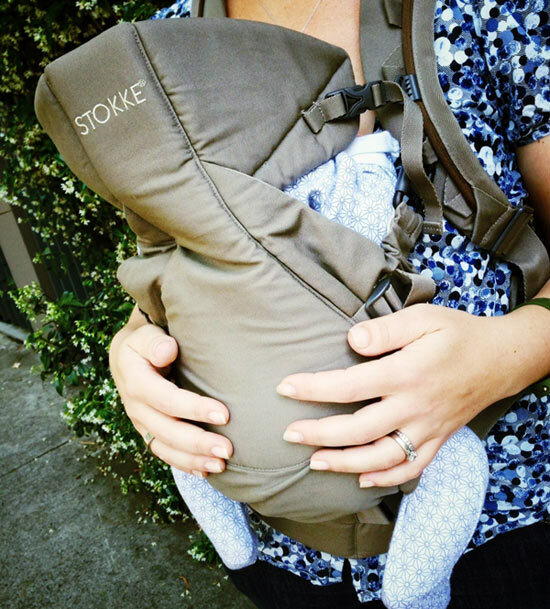 Stokke has designed the carrier to give excellent support to infant hips, which gives me great peace of mind. My husband also finds the carrier comfortable to wear, and it’s easily adjusted to suit both our frames with little fuss. Here’s the other part about the Stokke MyCarrier that I like. It grows with your baby, right through until toddlerhood. Your baby can be carried facing outwards from about four months. Then once your child can sit unaided and grows taller than 72cm, you can switch the carrier and transport them on your back. Most children can be carried this way until they are three. You can buy the Stokke MyCarrier locally at Minimee for $270. It comes in red, brown or navy.